I had this realization that I was expecting the student to somehow psychoanalyze himself and come up with a grand justification for his behavior and actions. Asking the “why did you do it” question did not help me to solve the issue—and I realized it never would. It was simply a fall-back question for adults when they were not sure what to do. This was the beginning of my attempts to engineer ways for myself and other teachers to take care of the emotional lives and mental health of our students. I first knew I wanted to be a teacher when I was in middle school in Michigan. I got paid a $25 stipend for running a basketball clinic with little kids and discovered I was good at motivating students. As I pursued teaching, I moved to California, and became an assistant in a classroom with students that had developmental disabilities, emotional disturbances, and aggressive behaviors. This environment, along with excellent training, challenged me to figure out how to support students with multiple challenges and give them a better quality of life. I currently teach two special needs classrooms at Canalino Elementary School in Carpinteria. Every good teacher I’ve talked to wants to build better relationships with their students. But lack of time is a major barrier. A typical classroom has 25 to 30 students and if a teacher devoted just 2 minutes to each student, that would add up to an hour every day, which would have to come out of valuable instructional time in this academic-focused (and test-crazy) era. And even if they had time, teachers rarely have the resources to handle social, emotional, and mental health challenges. Improving professional development in this area would help. So would clear, practical, and efficient protocols that are used school wide. Here is a typical example: A student was sent to me after getting multiple warnings for disrupting the math lesson. The teacher reported that the student struggled to sit still and focus, blurting out answers without raising his hand, and was disrupting the students at his table by fidgeting and tapping his pencil. When we began, he was asked to identify his feelings from a chart. He chose energetic, excited, and anxious, which helped me understand his impulsive behaviors. The student then listed the actions that were connected to his feelings—in this case, blurting out and fidgeting. Once I better understood the feelings that motivated his actions, I realized he just needed to choose a more socially appropriate way to cope with his feelings. We settled on having him discreetly step outside the classroom, take a 3 minute break to move around, and return to the lesson ready to try again. Of course, not everything was smooth when I began to roll this program out at my school. Teachers struggled to find the time to sit down with students and go through the process. They had trouble finding the right replacement behaviors, and struggled to understand the true purpose of the process. So we improved the protocol by providing training to teachers that explained the rationale, created and implemented lessons for students, revamped the questions teachers should ask students, hired mentors to assist the teachers, and made the process digital. After these tweaks, teachers reported that students were using replacement behaviors, which increased instructional minutes and improved communication with parents. But we also realized that we were only reaching the students with chronic disruptive behaviors (typically 2-5 kids per class). What about the needs of the other students? Students with difficult behavior are not the only ones who struggle emotionally. Students often internalize feelings and lack the ability to express their needs appropriately, which makes it nearly impossible for teachers to recognize what is motivating their actions. We tested a “positive version of Think Time,” where all students could record things they were proud of, or simple acts of kindness that showed good citizenship. From there, we developed the “check-in system.” This system teaches students how to reflect on their feelings routinely and to express them appropriately to get their needs met. Our helloyello.net web app allows students to let teachers know what’s going on in their lives good or bad, wrong or sad, daily. And the app gives teachers the opportunity to “close the loop” quickly—within seconds—to strengthen their relationships with students. The results have been stunning. For instance, a teacher recently shared with me that her student checked in that she was struggling to stay awake at school because her baby brother’s crying was keeping her up at night. The teacher closed the loop by letting the student know she had read her check in and asked if she could email her parents. The teacher sent a friendly email to the parents, who in turn were grateful and quickly solved the problem at home. “Check-ins” are particularly good at addressing bullying. Students feel safe reporting problems on the playground or in the bathroom since they can confidentially reach their teachers without having to tell them face to face, in view of the bully. In one example, a student wrote about feeling bad because he participated in teasing someone; teachers, armed with additional information, are able to step in before the conflicts escalate. 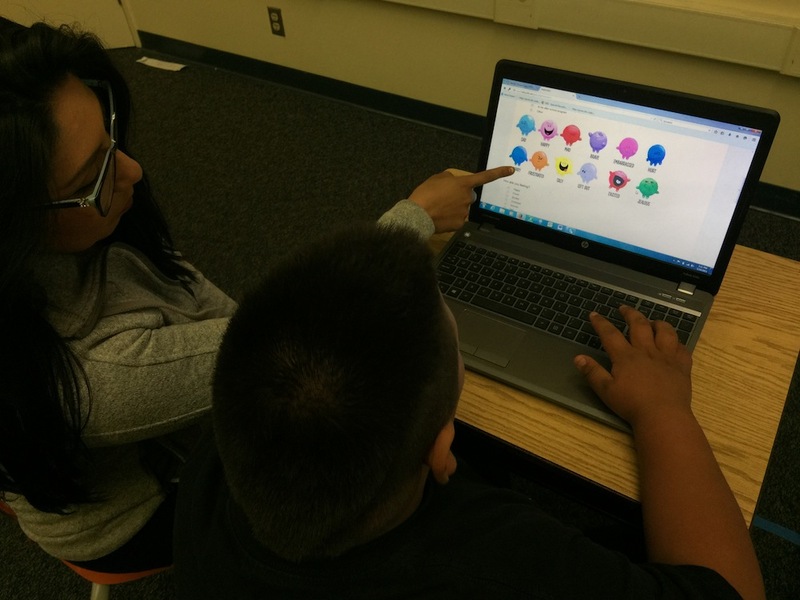 Our HelloYello team is confident our procedures can help other schools in California. My school, Canalino Elementary, is a Title I school, meaning at least 40 percent of students come from low-income families. Many of our students are also English language learners, requiring us to take extra care to find ways to make sure the kids understand the questions and the behaviors expected of them. Of course, schools better off than ours also struggle with the emotional well being of their students. Taking care of our students’ social and emotional health isn’t an end just in itself. Research studies have shown that social and emotional well-being has a significant impact on student achievement. Teaching students to express themselves appropriately, with reasoning and evidence, is a recurrent theme in the Common Core Standards. Teachers cannot help students achieve their academic potential or demonstrate how much they’ve learned if they do not know how the students are feeling, what they are thinking, and what’s going on in their daily lives. 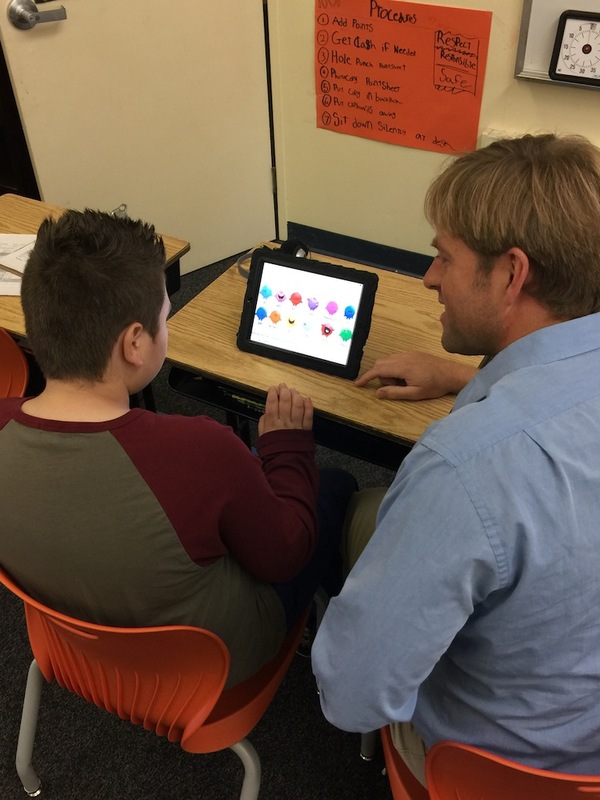 Brandon Sportel has been selected as the Carpinteria district teacher of the year, and Santa Barbara County teacher of the year. He was the California winner of this year’s Milken Educator Award. He wrote this for “Reimagining California,” a partnership of the California Endowment and Zócalo Public Square. *Photos courtesy of Brandon Sportel.